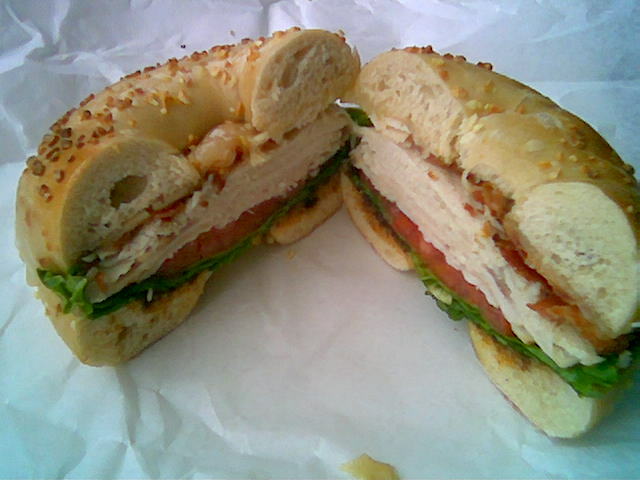 I had a bagel craving today, and the Bagel Market in Essex Vermont has some of the best bagels I’ve ever had. Similar to pizza crust, bagels are good when they’re chewy and crispy (emphasis on chewy for bagels); Bagel Market bagels succeed on both counts. Crispy isn’t even the proper word to describe these bagels, it’s almost more of a “crackle”. Additional, these bagels are extremely fresh, even at lunch time. According to this nice write up in local paper Seven Days, proprietor Ron Goldberg has a long history of New-York-style bagels. 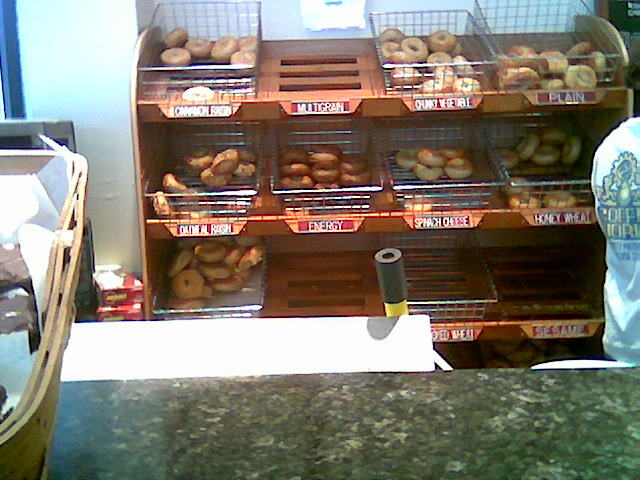 Half of the bagel selection at the Bagel Market, and nice black-granite counters. The counter running perpendicular has a coffee bar. The Bagel Market, TBLT special on Garlic Bagel – romaine lettuce, fresh tomato, sun-dried tomato pesto, Havarti cheese, bacon, turkey breast. This sandwich is really just an excuse to eat a bagel for lunch. The turkey was good quality, the sun-dried tomato pesto was a nice addition, and the choice of cheeses are nice (Havarti worked well with the TBLT). Something else I liked about the sandwich is that is wasn’t unwieldy, too many times I’ve eaten sandwich’s (especially on bagels) that are super sloppy, this was very manageable. 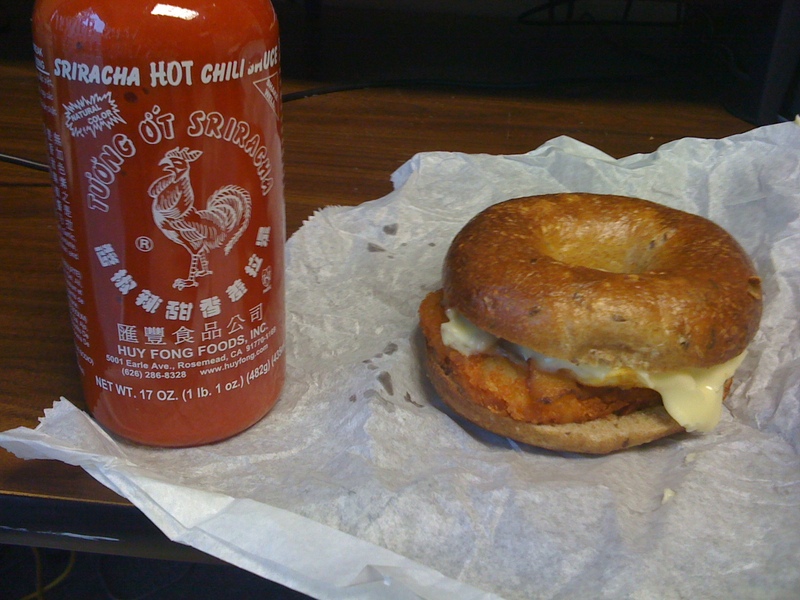 I would have liked a little more lettuce and bacon on my sandwich, but this is still a great bagel sandwich on the best bagel. The Turkey BLT (TBLT) was $6.65 with tax.